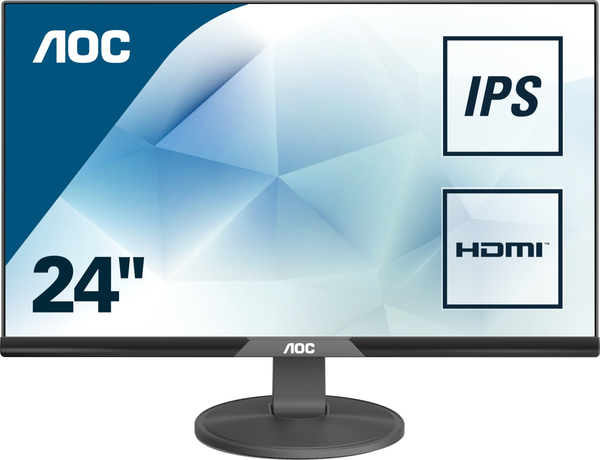 The AOC I240SXH display offers superior performance with a touch of style. With Full HD 1920 x 1080 resolution, this 23.8-inch IPS screen delivers detailed imagery and accurate colors with impressive 178 degree viewing angles. VGA and HDMI connectors make it easy to hook up your computer, laptop or game console. The slim, stylish profile and textured black finish add elegance to any room. The stand easily tilts back for optimum viewing comfort, or you can hang it on the wall with the built-in VESA mount. Whether you’re working at home or playing games with your kids, the I240SXH display will exceed the expectations of your entire family.